Three Caribbean Community countries which have been pioneering the region’s new approach to marijuana have in the past week taken significant steps to either reform legislation or to recognize medical products from the cannabis sativa sector as the three indirectly mount pressure on neighbors to follow their paths. While Americans were celebrating Thanksgiving Day, lawmakers in St. Vincent and the Grenadines were engaged in a final round of parliamentary debates paving the way for the establishment of a medical marijuana industry on the archipelago with the Grenadines group of smaller islands. The bills cater for nearly every aspect of a marijuana sector in the country including those relating to supervised cultivation and one dealing specifically with cannabis for religious purposes. A bipartisan select committee had reviewed all aspects of the bills but even as it was expected to clear the house, locals are worried that foreign farmers and interests will be the ones to benefit. One reason advanced so far has to do with a shortage of land for large scale cultivation and the expected opposition to a legal marijuana sector by church groups who fear that the lives of younger people in particular will be destroyed by abuse of marijuana. Potential growers want authorities to release lands for cultivation before foreigners with long wallets descend on St. Vincent and the Grenadines to cash in on the new sector. “As we, as growers, get into this part of the industry, I must tell you that the playing field is not a level one, because foreigners, the investors, have the money [and] the growers, they don’t have lands,” Junior Cottle, a veteran rights activists told CMC News Agency. “I am very concerned about that aspect of the development. 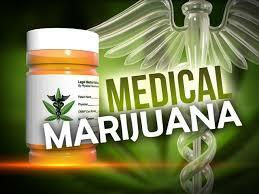 If it is not made available, the whole issue of medical cannabis industry is gonna fail. Monies might be made but not from the perspective of growers’ involvement, and we oppose that. St. Vincent and the Grenadines Minister of Agriculture Sabato Caesar told colleagues that the medicinal cannabis industry bill will regulate the supply and use of weed for medical purposes and for “persons with qualifying conditions.” The one relating to cultivation is designed to grant amnesty, backdated from August of this year for farmers illegally cultivating lands before the passage of the umbrella legislation. Such farmers could hand in their crops and must apply for a license to continue. The religious purposes clauses will allow for persons to possess and use specified amounts of marijuana for religious practices. Rastafarians, for example, could use cannabis at places of worship. Government could also grant permission for ordinary folks to imbibe at specified public events. Meanwhile, Jamaican authorities have said that government will recognize the use of products derived from the marijuana plant for research and medicinal purposes once science proves their benefits and effectiveness in treating specific conditions. The Jamaica Observer Newspaper quoted Chief Medical Office, Dr. Jacquiline Bisasor-Mckenzie as saying that the growth and development of the industry is being monitored closely even as “we are responsible for the safety, consistency and effectiveness of the products that we register.” She said government will accept products that deal with conditions relating to vaping, sublingual drops, topical solutions and capsules made from extracts. Providers must be officially registered. Antigua’s parliament, meanwhile, was also expected to read the marijuana for medical, religious and sacramental purposes bill for the second and third times as the week came to a close. A 54-page bill that also deals with medical usage and cultivation for local and international consumption is in the hands of all lawmakers for final approval. Attorney General Steadroy Benjamin noted that a legal sector should quickly eliminate any black market for cannabis as the product would be available under controlled and regulated conditions. “This bill must not be deemed in any manner to advocate, authorize, promote or legally or socially accept the use of cannabis for non-medicinal or non-scientific use or for unauthorized religious use. In cognizance of this, the bill provides for strict regulatory framework so as to ensure the effective and efficient implementation of the provisions of the bill, says its explanatory memorandum. All three of these CARICOM member states and Belize are moving, or have already moved, to allow for the possession and use of small amounts of marijuana for personal purposes. Antigua has gone so far as to even allow every household to legally possess up to four plants each for personal uses. Most of the other states have publicly committed to relaxing laws that allow for jail terms for small amounts of marijuana.